One of the most important aspects of running a lawn care business is marketing. No matter how good you are at maintaining lawns you will not get far in this business if you don't have an understanding of the market and know how to package and promote your services. To do this you need an effective marketing plan. 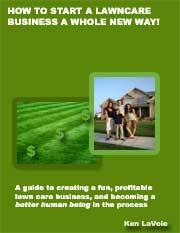 In this article I examine some of the key elements of lawn business marketing and set out some sections that you should include when you write up a plan of your own. Branding basics start with naming your business, coming up with a suitable slogan and getting a logo designed. These three things can give your business visual representation in the market but branding runs much deeper than this. A brand is a great way to build a reputation and to become well recognized in the market place. Think about the perceptions that people will have about your brand and what you want them to think and expect. A good brand offers people a promise and lets them know that you have standards that you always live up to. Think about your company values and business philosophy when you are deciding what kind of brand you want to be known as. Another important aspect of lawn care marketing is the packaging and pricing of services in order to make them appealing to prospective clients. Present prospective customers with a variety of options that are clear for them to understand. Lump services together into packages and give customers the impression that they are getting better value by hiring you for more than just lawn mowing. 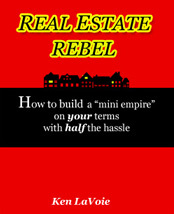 It is important that you fit in to your local market by having your pricing just right. The correct price is the one that allows you to maximize your profits. It must be high enough to allow you to profit while also being low enough to remain competitive. Marketing is also about understanding your customers and their needs and desires. 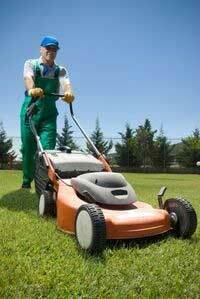 From your lawn care business market research you should have a fairly good idea of the profile of a typical lawn care service user. Once you know who the people in your target market are you can then look at what kind of services they need and what kind of marketing methods they would be responsive to. While it will pay off to offer services that are in great demand such as lawn mowing you will also probably find that there are a lot of local competitors. Look for other niche markets in the lawn maintenance and landscaping industries. They might not be required by so many people but if you can find something suitable then you may find that the lack of competitors will allow you to make much higher profit margins than you would mowing lawns. You may find that you can earn additional money by power washing driveways as well as mowing lawns. One common method of getting the word out about your lawn business is through advertising. There are numerous options available and prices can vary. Remember that your advertising should be as targeted as possible to local people that fit your desired customer profile. Also try to track ad performance so that you know which methods are cost effective. Getting an enquiry from a prospect is one thing but you then have to actually convert that lead into a new account. Make sure that things run smoothly when customers contact you and that you are able to arrange to meet them to bid on their lawn. The ability to sell to these prospects comes down to a combination of what you have to offer them and the way that it is sold to them. Write up a sales script that you can memorize and go over with prospective clients when you meet them face to face. Constantly work on improving your sales techniques. Aside from advertising there are numerous other ways that you can generate leads. Most lawn care business owners state that alongside advertising they get most of their new business through referrals. This method relies mostly on good customer services but there are also ways to encourage positive 'word of mouth' to spread. Networking, either socially or in joint ventures with other business is another popular way of getting new lawn care accounts.